Fare Deal. Europe to Australia in business for under €1900. 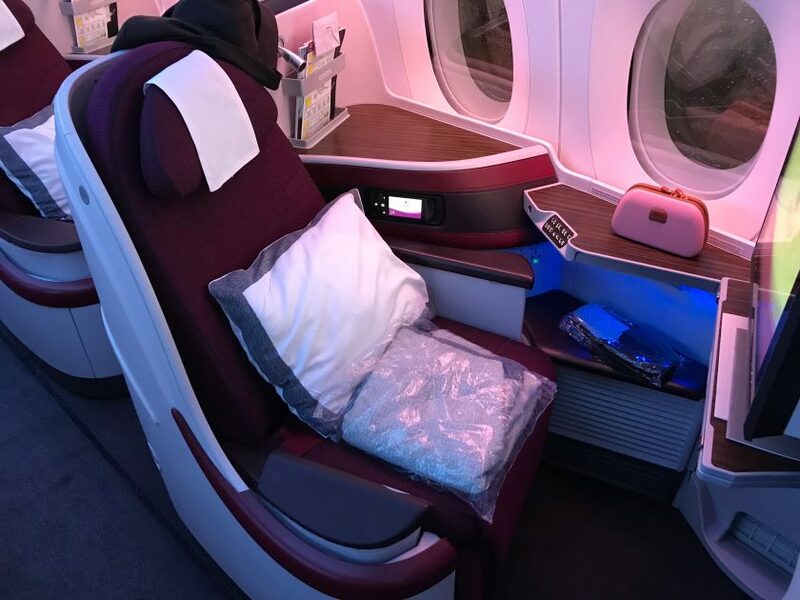 I hesitate to write more things about Qatar Airways given the recent plethora of articles, but they have another cracking fare deal, for what is a cracking product. 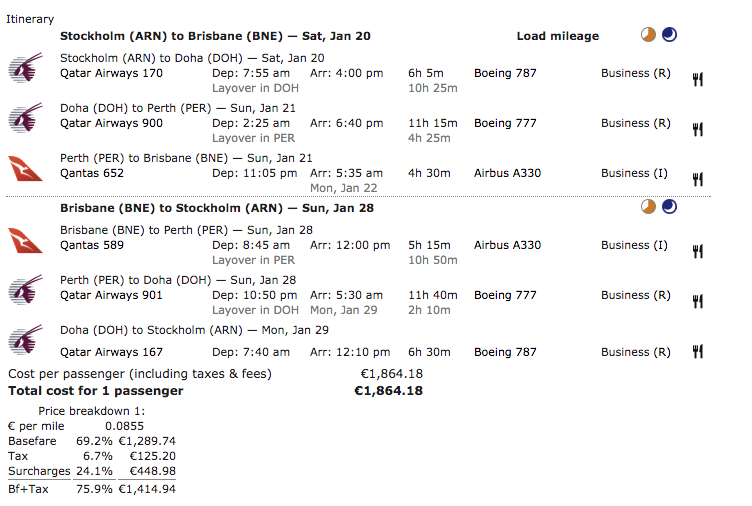 Starting from Stockholm or Copenhagen you can get to Brisbane for around €1,890 / £1,690. For those of you that collect tier points with the British Airways Executive Club that would also earn you 840 tier points in total – that’s approaching £2 per tier point which is excellent value. The fare must be booked by the 16th October, however suspect that availability for this will go very quickly. It’s for travel from now until the end of May. The routing is from Stockholm or Copenhagen to Doha, then to Perth, then to Brisbane. That is a bit of a trek, however given the price, it’s something that I’d jump on soon. It’s possible to price this up via Kayak, which should then pass you through to a variety of booking sites where you can complete your purchase. There’s of course always the option to book direct with Qatar Airways too. In terms of the Qatar products you’ll get, it won’t be the Q-Suites (or at least is very unlikely to be). On the leg from Stockholm to Doha, you’ll be on a 787 which has a very similar configuration to the A350 which I reviewed recently. The long leg to Perth will have the older 777 product, also reviewed in the same article. The Qantas A330 service to Brisbane will also have lie-flat beds with the excellent B/E Super Diamond product, which American Airlines is flying on some of their refitted 777-200 aircraft. I only have some bad selfie’s of me sitting in that, which isn’t terribly helpful I realise! If you succeed in booking one of these fares, then let me know by posting on Facebook or tweeting me. Previous Post: ﻿Airlines and Digital. Improving the boarding process. Next Post: Tchuß Air Berlin.